I’ve always loved dance. 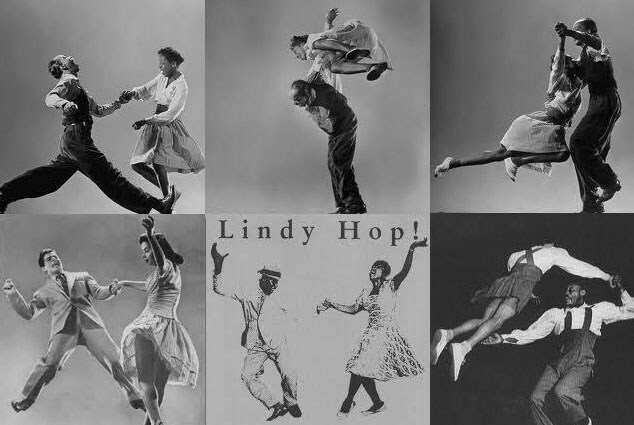 I’ve loved dance from before it was break dance from when I’ve been seeing jazz dancing, 1920s charleston dancing…hip hop was only an evolution of what they were doing there. 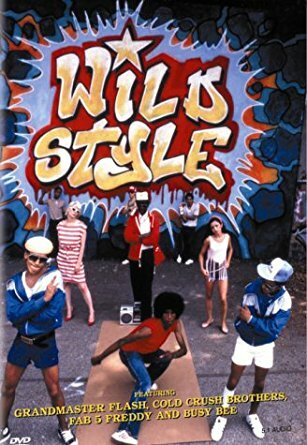 If you look at what happened through the disco era… the disco element of bringing dances to the floor, we (can) look at a more raw element of that from the street, of (hip hop) kids who had nothing but time on their hands and the environment around them to practice their moves (Skinnyman). NYT was one of the best dancers but also one of the best MCs. There was Owen and Kingy some of the first hip hop dancers. 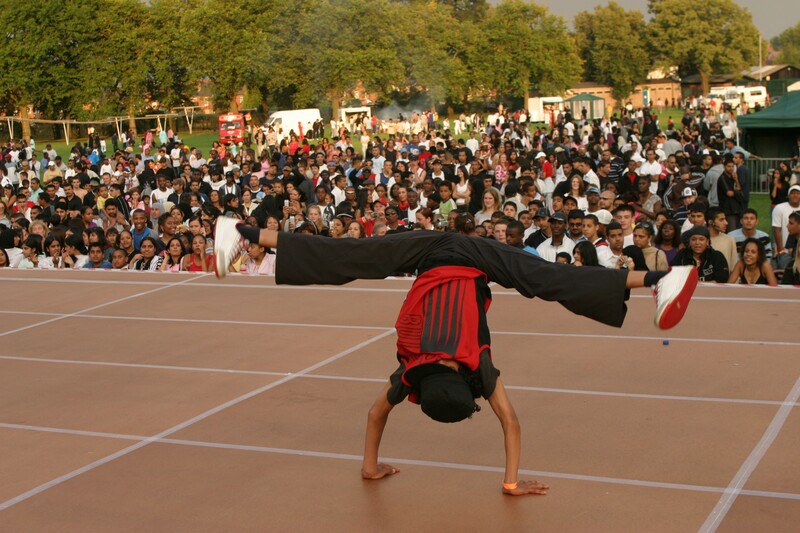 A lot of people when they think of the dance side of it they just think about break dancing. 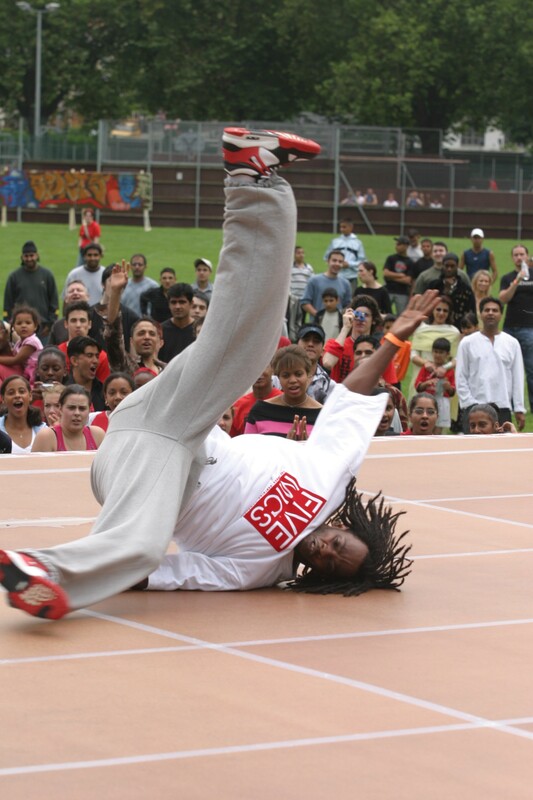 People knew how to break dance but it wasn’t just about break dancing as it was also about legwork, footwork, and moves. Things like ‘the running man’…. 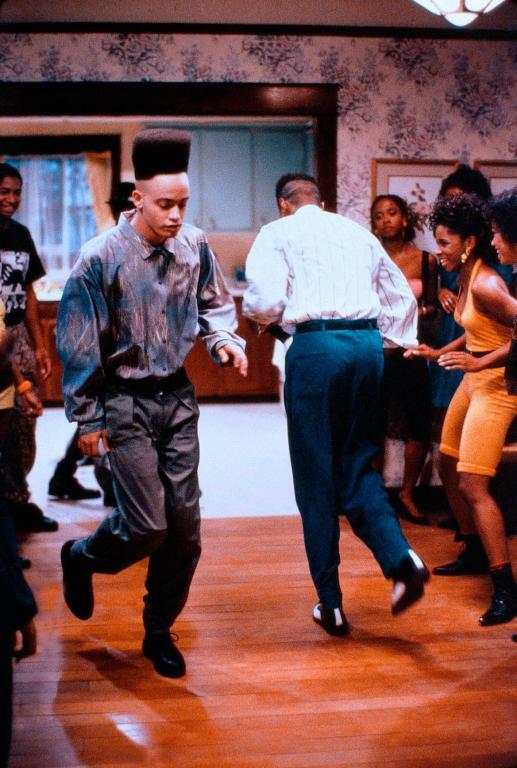 Early movies like ‘House Party’ you wouldn’t see anyone doing ‘windmills’. 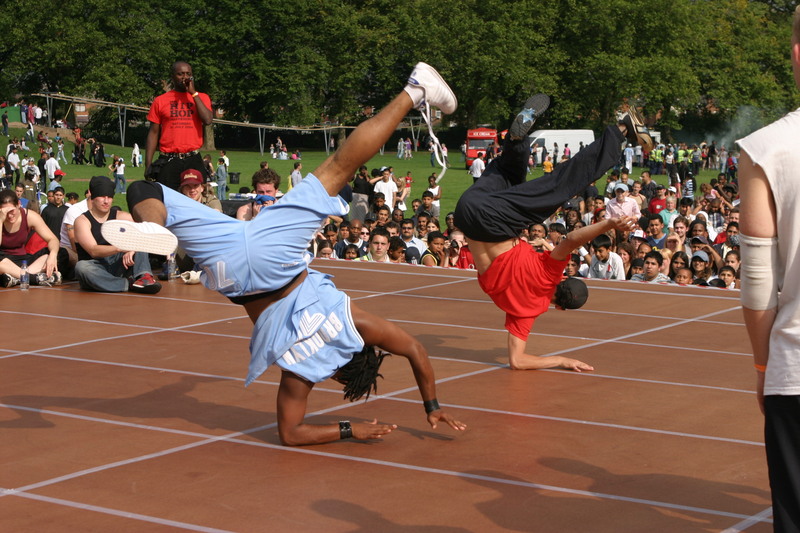 At that time it was about hip hop dance and within that you would have some break dance moves. 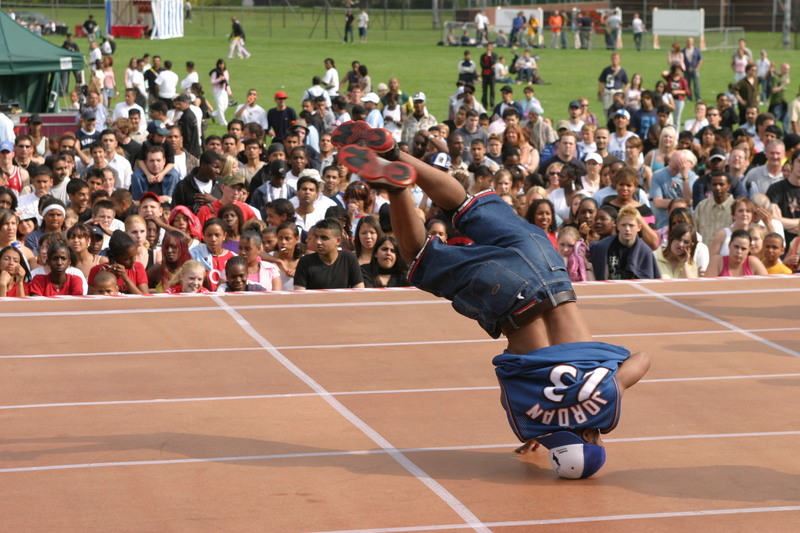 Then it got to becoming a purist thing of just break dancing (Baby J). What was the earliest hip hop event at Déda? Leonard Jackson had been working in the area from the start. 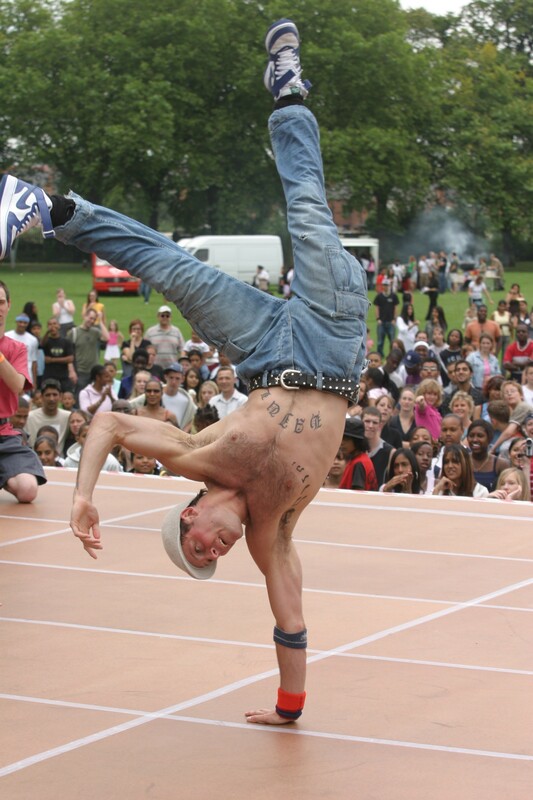 It was Len who introduced breaking at Derby Dance and he who first started to work with the Trinity Crew. We had lots of workshops/classes and Hip Hop weekends, featuring DJ’s and Rappers through to the various dance forms…We helped to shape it and give it form along with a home for a while (Mark Richards). What are you really proud of? James Fogerty aka Foggy, who was originally in Trinity started off his career at Déda (then Derby Dance), he went on to become one of Déda’s Associate Artists and has since developed as an artist and is making and performing work nationally and internationally (Clare Limb). Strong relationships were made that are still in place today especially with Baby J and Trinity. Rapper / Musician Obe Watson is now on the Déda Board which acknowledges the importance of Hip Hop and urban arts to the organisation’s heritage and future thinking (Stephen Munn). Do you have a favourite Déda hip hop memory? The first Breakjam that I organised…It was a brilliant event, really vibrant, full of young people and tutors who loved to dance and show off their skills. It was a menu of classes that the young people could choose from in breakdance, poppin’, lockin’, street dance, lyric writing and dj’ing. It all culminated in a Breakjam at the end where the young people and tutors could battle and try out their new skills…The theatre was set up for this with a live DJ and lighting (Rachel Austin). The view from the Hip Hop Happening Stage at about 2:00pm. It stands out because we’d achieved what we’d set out to do (Mark Richards). View more photos of the Déda Hip Hop Happening here.